The Recovery team is hoping for a good number of volunteers to assist in locating as many flocks as possible across South-eastern South Australia and South-western Victoria. The count will take place in more than 60 sites of stringybark forest ranging between Keith and Mount Gambier in SA, to Nelson and Little Desert National Park in Victoria. Participating in the count is simple: all you need is a partner/friend or group, binoculars, a love of the outdoors and a vehicle, preferably 4WD. 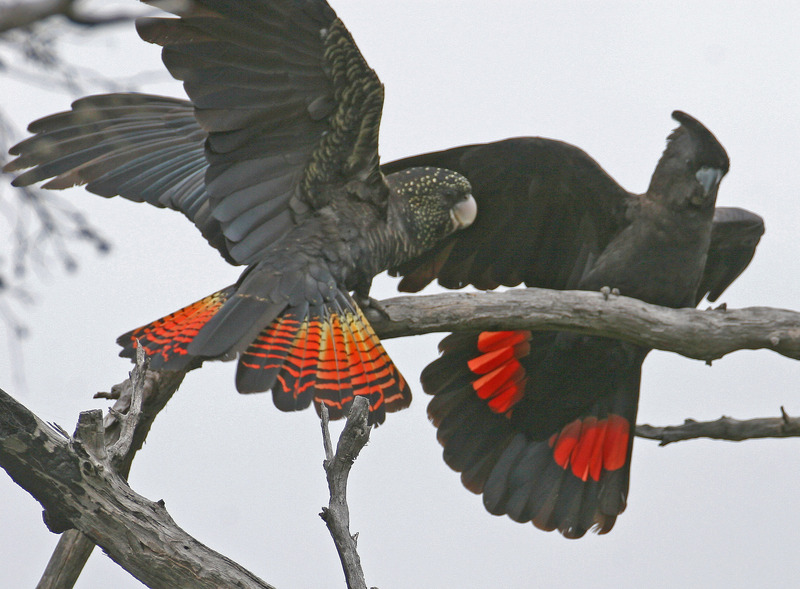 Volunteers will be allocated a site to cover via vehicle, looking and listening out for the distinctive ‘karak-karak’ call of the cockatoo. Volunteers need no prior experience for surveying the birds, but are required to become familiar with what the Cockies look and sound like to be able to tell the difference between the Red-tails and Yellow-tails. These birds are often mistaken for each other, and to hear the difference between the two head to the webpage here. Landholders who have stringybark on their property are also encouraged to search their own property. You can request a particular area to search when you register or nominate to search your own property. 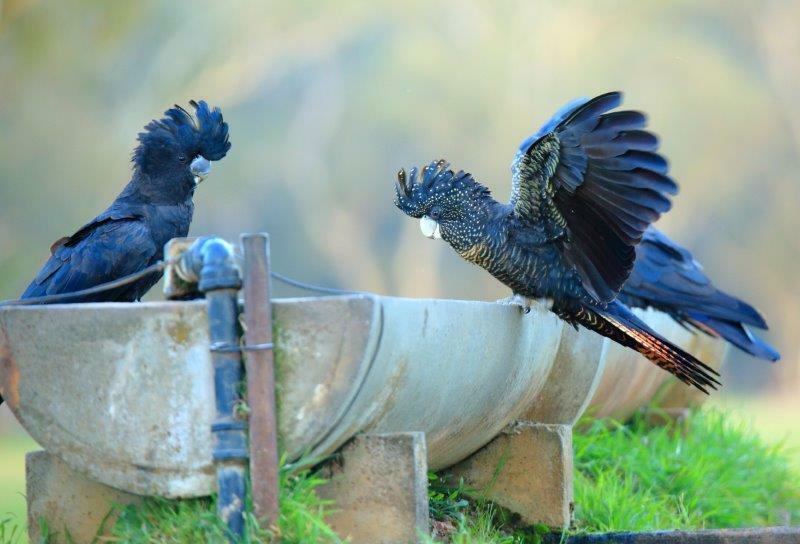 Red-tails regularly use stock troughs as watering points and feed in stringybark trees on private land. These areas are usually inaccessible to our counters so we strongly encourage landholders (and other community members) to report sightings on the day. Why do we count? The most important reason for conducting the annual count each year is to identify large flocks across the range. Flock counts are then conducted following the annual count using the location of these large flocks to gain an indication of breeding success in previous years. The annual count also helps us to understand how the Red-tails use their habitat, as well as reminding the community to be on the lookout for these special birds. An annual count training session will be held the morning of the count in Casterton for those who need some tips on how to find birds, or those who haven’t participated in the count before. 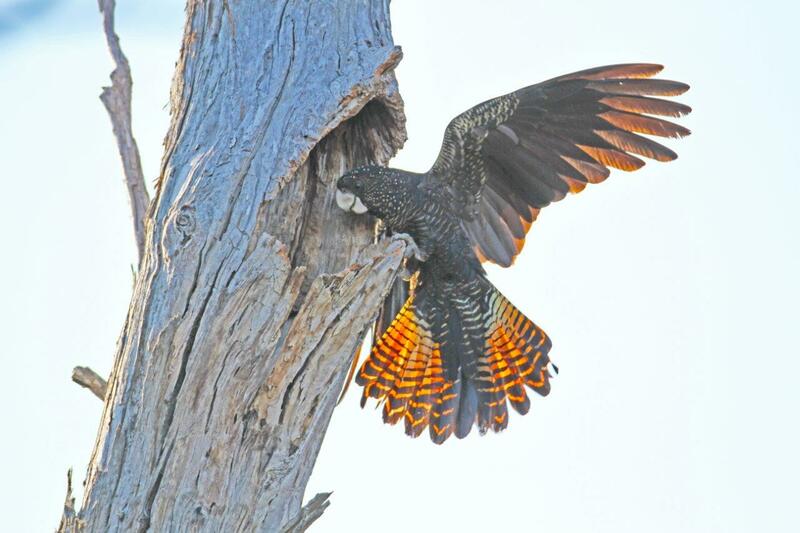 This session is a great way to learn what Red-tails look and sound like, how to identify signs of feeding, and how to tell apart stringybark habitat from other gum woodland habitats. Following the count, volunteers have the option to attend the annual Bailey’s Rocks BBQ and Campout. This is very informal; bring your own food, tent and camping gear, and it is a great way to catch up with other volunteers and swap stories about Red-tail sightings. To register your interest in participating or to find out more information please contact Kelsey Bennett on 1800 262 062 or via email redtail@birdlife.org.au. You can also register via our annual counts 'How to get involved in counts' page by clicking here.